All 4 Dirty Paws offers full service professional dog grooming in a safe environment, by gentle, professionals and caring groomers. 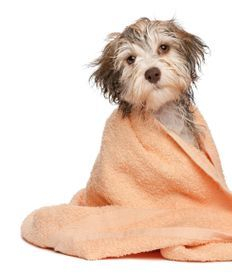 All 4 Dirty Paws is a small grooming shop that is owner operated. When you and your pet come in you will be sure to get one on one attention and service. We also carry all natural pet food and treats for a better health and longer life for your pet. Let's not forget toys,seasonal apparel,bones and much more. To take care of all animals in the way that we would like to be treated! With respect, love, & patience. We would like to thank All of our customers for permitting us to serve you! We enjoy our jobs and could not imagine a life without animals. We do consider ourselves blessed! © 2014 All 4 Dirty Paws, Inc. All Rights Reserved.